As my daughter approaches three years old, there’s not a whole lot of babywearing going on in our household anymore, but I still try to attend my local babywearing meets regularly. Here’s my top five reasons why, if you don’t already, you should consider attending a babywearing meet near you. In the early weeks and months of parenthood, particularly if you have more than one child, getting out of the house can seem like a mammoth task. But staying at home every day isn’t great for your wellbeing, and a babywearing meet can be a good excuse to make the effort to get out and have some adult company and fresh air. Babywearing meets are often held at parks and playgrounds, so they are good for older children to burn some energy, too. It’s worth the effort! While most baby stores stock a small range of babywearing items, there are many, many carriers and wraps that can only be bought online. 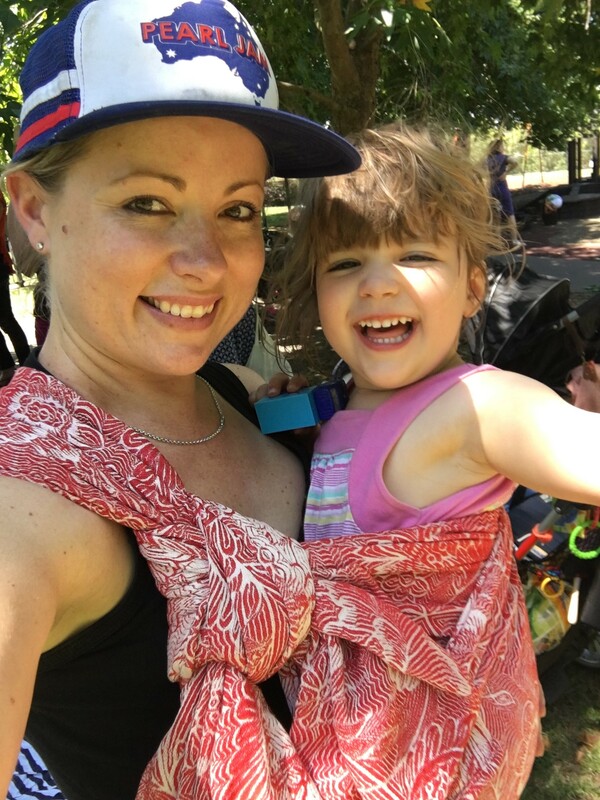 For some, buying without trying isn’t ideal, so a babywearing meet is a great place to come and see for yourself what a woven wrap or custom half buckle (for example) is really like so you can feel confident in your next purchase. Before I attended my first babywearing meet, I didn’t think woven wraps were for me, I found them a bit intimidating. But as luck would have it, within an hour of my first meet, I’d purchased a gorgeous Didymos Lisca from Baby Wearing Buy Sell Swap. And so began a delightful relationship with woven wraps. With so many different options on the market, many of them not available in stores, it can be hard to know what will suit your needs. So come along to a meet and maybe you’ll find something that is just right for you! While babywearing is for every parent, if you find yourself drawn to it, chances are you will find an affinity with other parents who are also drawn to it. Finding your tribe, a group where you feel a sense of belonging and shared interests, helps you feel connected and offers a safe place for you to grow and thrive. While you might get lucky and find yourself in a mother’s group or playgroup where you fit in, sometimes that is not the case. Babywearing meets can be an opportunity to find a group of like-minded parents that might become your new tribe. Babywearing is such an important tool for parents, and spreading knowledge about safe and comfortable babywearing helps bring the joys of babywearing to more people. A strong babywearing community, with a large, connected group of people who regularly attend meets and embrace newcomers helps to spread the babywearing love and give new parents the confidence to keep their children close. So how do you find a babywearing meet near you? 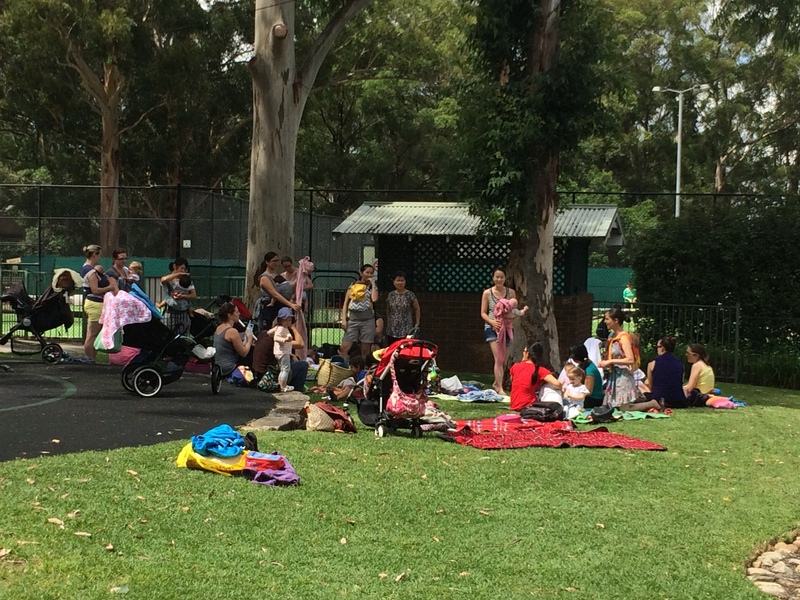 Most major cities and some regional areas have babywearing groups, who generally have a Facebook group to connect people and advertise meets. Carry My Baby has a reasonably extensive list of groups in Australia. In the US, Babywearing International has chapters across the country. Asking in a support group like Aussie Babywearing Support on Facebook is also a good idea if you can’t work out who holds meets in your area. If there isn’t a meet near you, maybe you could consider starting one up – helping other parents learn about how babywearing can help them is extremely satisfying! Even though she’s nearly 3, one of my favourite parts of babywearing meets is when she lets me wrap her, because it rarely happens at home anymore. Do you attend a meet regularly? What do you like best about meets? Categories: Uncategorized | Tags: Meets, support | Permalink. As the practice of babywearing has rapidly grown and developed, particularly over the last 10 years, baby carrier designers have continued to add functionality and appeal to their carriers in an attempt to retain (or gain) market share in an increasingly saturated market place. Where once pretty much the only baby carrier you could buy was a Baby Bjorn, there are now a pile of different baby carriers on the market. The original Baby Bjorn was designed to allow a baby to be carried in a forward facing position. With the growth of babywearing worldwide, the ergonomics of carrying a baby has become more and more important. The traditional narrow based carrier (or front pack carrier) like the Baby Bjorn has gone out of fashion, as it does not provide a particularly ergonomic position for baby, or for the wearer. But the ascendancy of ergonomic carriers meant the death of forward facing babywearing, as an ergonomic position meant a wide base; too wide for the child to sit forward facing. Now, for me personally, carrying my baby in a forward facing position wasn’t something I needed or wanted to do. On the front facing me, or back carrying, or on the hip in a ring sling, gave me enough flexibility to get on with my day. I also feel there is a potential for forward facing to lead to an overstimulated baby, who has nowhere to turn away from the busy world if feeling overwhelmed. But, for some parents, forward facing is something they’d like to be able to do. Their child enjoys the stimulation, or they catch public transport and enjoy being able to sit down with baby on their lap securely, for example. So to meet this demand, while addressing the issues of ergonomic positioning, new carriers have been developed that have a forward facing position that provides a more ergonomic seat for baby. Two of the most popular on the market right now are the Ergo 360 and the Lillebaby. The Lillebaby I have used in this review is called the All Seasons Complete. It markets itself as a six-position carrier (newborn legs in, infant legs out, forward facing, toddler legs out, hip and back). The Ergo 360 is a four-position carrier (facing in, facing out, hip and back). Though, to be properly comparative, the 360 does have an infant insert (purchased separately) which therefore also offers a “fifth” position for newborns with legs in. 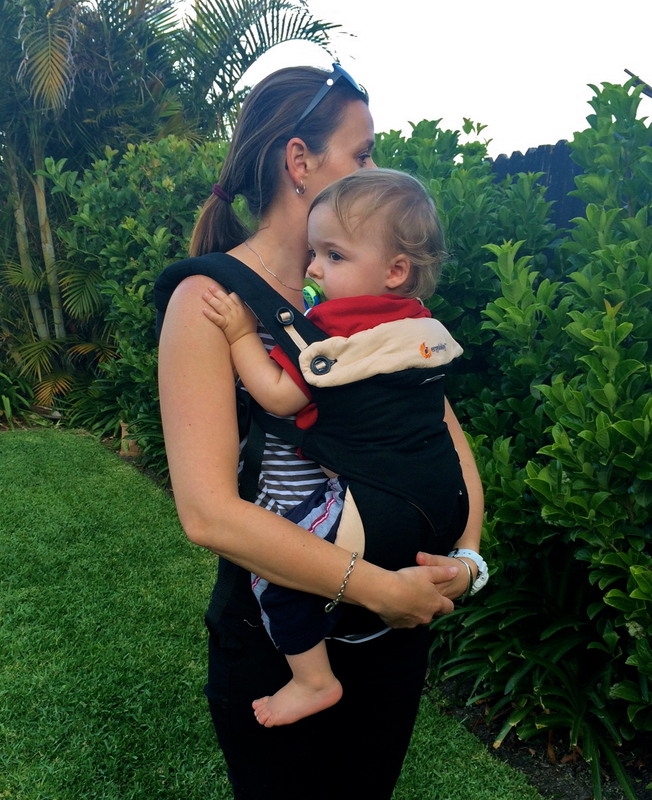 The Ergo 360 is comfortable for small framed people and can fit an 18 month old comfortably. The extra position the Lillebaby offers is legs out for a baby over 3.1kg who is happy to sit in the legs out position. The Lillebaby’s narrowest seat position is narrower than the 360, so while in a 360 a small baby would still need to be in the insert, they would likely be able to sit without an insert in the Lillebaby. This can be an advantage because inserts can be a bit fiddly to use, and can be quite warm if the weather is hot. From my brief experience with the Lillebaby to date, I would suggest that not all babies would be happy to be in the legs out position from birth, and Lillebaby does provide instructions for keeping a newborn in the legs in position, in the event they are not happy to have their legs out of the carrier. But I envisage that the average baby would be able to use the carrier with the legs out position within the first month or two, much sooner than the Ergo 360, where the insert would generally be used until at least 4 months old, potentially up to 6 months old. The Ergo 360 retails for AUD $239. The Lillebaby Complete All Seasons Tokidoki I’ve used in this review retails for AUD $235, though there are cheaper versions available, with plain fabric for example. 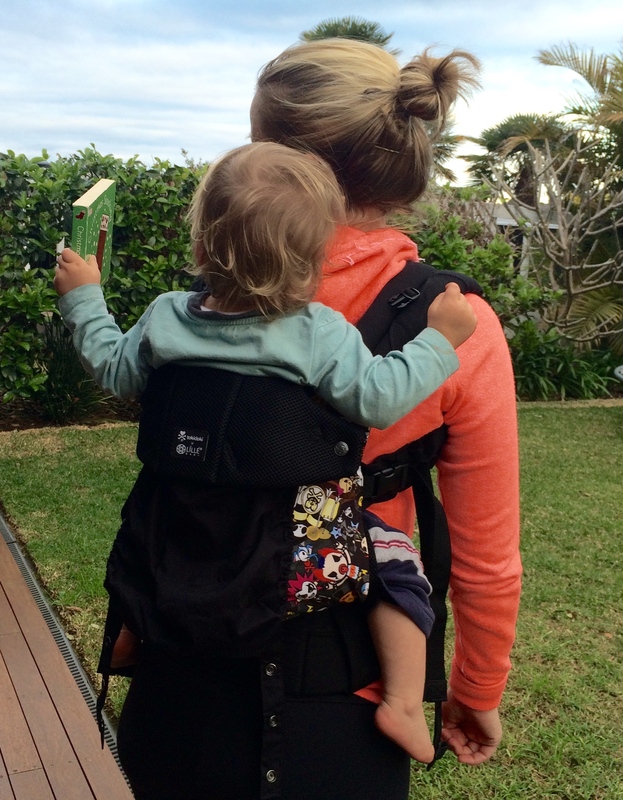 The Ergo 360 is distributed in Australia through Babes in Arms, and is available in many bricks and mortar baby stores and online. The Lillebaby is distributed in Australia through AngelRock Baby, Bellas Little Ones, HuggleBaby Carriers, The Infant Boutique, PixieMama, Nurture Nest and Wear Your Baby (online), or from the AngelRock Baby store in Ettalong, NSW. The Ergo 360 comes in six colours currently. The Lillebaby Complete comes in a few more colours, as well as some patterns and the funky Tokidoki print that I tried for this review. The short version is both of these carriers are great, and chances are you would be happy with either of them, but here are a few of my thoughts on pros and cons that might help you make a decision based on what you are looking for in a carrier. Is readily available in lots of bricks and mortar stores where you can try it on if you’re the kind of person who likes to try things before you buy. Has a wide firm waistband that secures via Velcro, which is quite unusual for a baby carrier, but I actually quite liked it, a lot more than I thought I would. It felt uniformly supportive right around my waist. The downside of the Velcro is it is noisy to remove and once you have it on it is pretty much impossible to adjust, so you want to try to get it the right tension first time. The front facing position creates a slightly better leg position for baby than the Lillebaby, in my opinion. Has narrower shoulder straps than traditional Ergos, which is a plus for smaller framed people, who often find the Ergo too big and bulky. The method of making the seat narrower to enable forward facing is much simpler than the Lillebaby. In developing a carrier with a simple but ergonomic front facing position, the maximum weight limit has been reduced from 20kg to 15kg. This is probably not a big issue, as by the time most children reach 15kg they will be too big in general for this carrier and you would want to be looking at a toddler sized carrier. Needs a separate insert for a newborn/small infant. Comes in options including Airflow and All Seasons, which include mesh to allow greater air flow, enhancing comfort in the warmer weather. While still providing a narrower base option for infants, the standard size is a decent sized carrier, and my 2.5 year old still just about fit, with the head rest up, whereas she wouldn’t really fit in the 360 at all anymore. This could definitely be a carrier that would last you comfortably from newborn to large toddler, which is a rare find. Has a lumbar support piece you can thread onto the waistband for front carries. I’m not sure how much value this adds, I didn’t wear it for long enough, but perhaps it would provide some extra support when walking for an hour or so. Has lovely cushy curved straps, and plenty of length in the padding so you don’t end up with webbing cutting into your armpit. Also has extra bits of padding under the buckles, including the chest clip, for extra comfort. Will fit an infant without an insert before the Ergo 360, potentially from birth, if you are keen to use a buckle carrier straight away. Note: I still prefer a stretchy wrap or ring sling for a newborn, but I know some people like the convenience of buckle carriers and would like to only have to buy one babywearing device if possible. Comes in funky Tokidoki prints. At 2.5 years old, my daughter still just about fit in the Lillebaby with the headrest up, it was comfy enough for a quick nap! Just one last point about forward facing – it is not recommended until around 5 months of age when baby has very good head control, and you can probably comfortably carry forward facing til around 12 months/10kg. It is important not to carry a younger baby forward facing. 18 months is a bit big for forward facing in the 360 – but I couldn’t find a younger model! How do you feel about forward facing carriers? Is it something you find useful? PS: Thanks to my gorgeous friend Tracey and her patient little boy for helping me out with this review. And thanks to Angel Rock Baby for letting me try the Lillebaby. Categories: Uncategorized | Tags: baby bjorn, babywearing in summer, ergo, Ergo 360, forward facing, full buckle, lillebaby, soft structured carrier, SSC | Permalink. October 4 to 10 is International Babywearing Week, an opportunity to celebrate, support and encourage the practice of babywearing around the world. 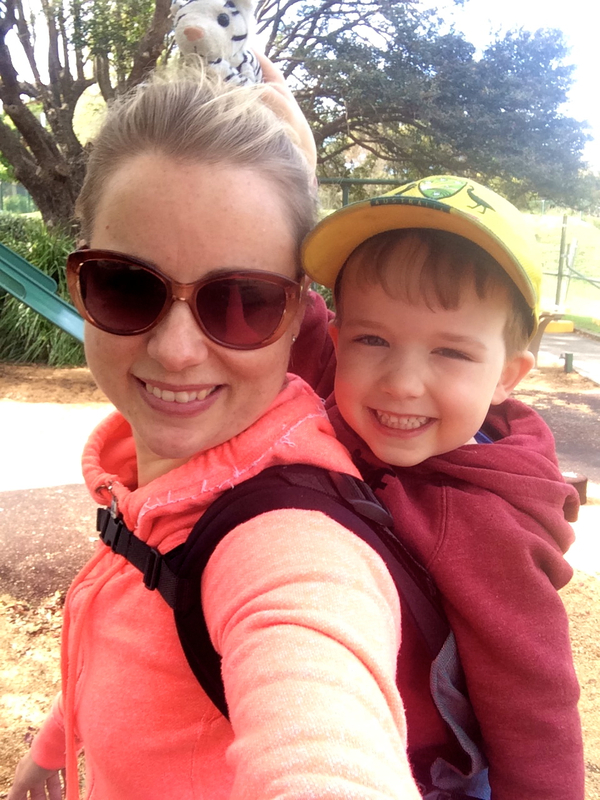 Here in Australia, we celebrate Australia and NZ Babywearing Week at the same time, and events are held all over to spread the word about what babywearing has to offer the modern parent. The theme in 2015 is Embrace your World and the fun folk at Babywearing International have come up with a whole lot of themes that groups can use to customise their event to suit their community. In Sydney, we’re using the theme #embraceyourwild and embarking on a walk across the iconic Sydney Harbour Bridge, which is pretty hard to do with a pram because there’s quite a few stairs to get up to the footpath across the bridge! This walk showcases the beauty that is Sydney Harbour, while highlighting that just because you have a baby it doesn’t mean you have to miss out on enjoying activities you can’t navigate with a pram. Due to other commitments, we’ve had to hold our event just outside of Babywearing Week, on 16 October, but if you live in Sydney and are interested in joining our bridge walk, please join us at Sydney Babywearers and RSVP to the event. 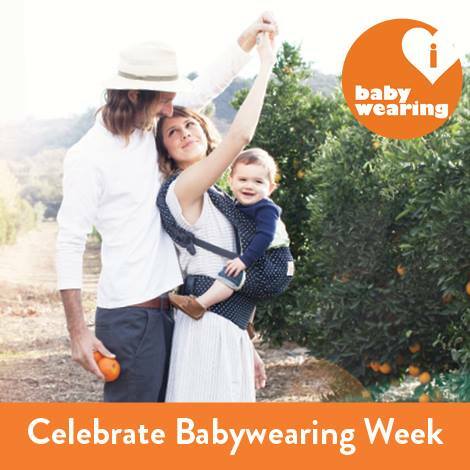 Visit the International Babywearing Week Facebook page for information about events around the world, or join your local babywearing group to see if they are holding an event near you. That’s not a spelling error, they are called Wompats, not wombats. And no, they’re not Australian, they’re actually made in Finland! A Wompat is a soft structured carrier, similar to an Ergo or Tula, but handmade in Finland, partly using Girasol woven wraps, Vanamo wraps or Marimekko designer fabric. I had never tried a Wompat before, though one of my fellow babywearing pals has raved about them for years. So, recently, with my babywearing days coming to a rapid end, I thought I would buy one in a pre-school size as my last hurrah babywearing purchase. I bought a pre-school size predominantly for my 4.5 year old son. 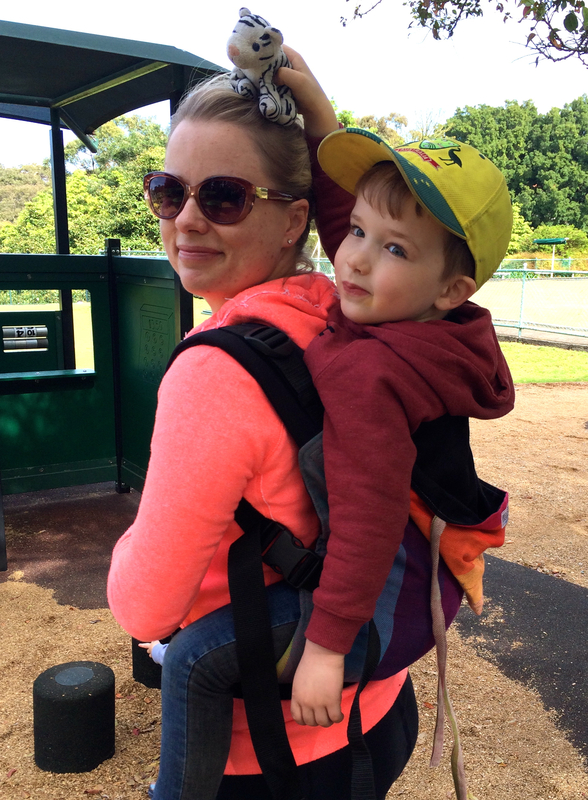 We have a toddler Tula, that he still just about fits in, but I am hoping we might be able to do a few bushwalks now we have a pre-school sized carrier as well – my husband and I can carry one child each when their little legs get tired. And, I’ve never owned a Girasol, and they are really quite beautiful wraps, so it is nice to finally have one, albeit in carrier form, before the end of my babywearing journey. I will try to explain here about how purchasing a Wompat works. Bear with me, as it’s a little bit complicated. They come in four sizes: baby (up to 18 months), medium (1 to 3 years), toddler (2 to 4 years), and pre-school (3 to 5 years). You can order a custom wompat from www.wearababy.com in the size you want, the fabric you want and the waist size and shoulder length you want. While mostly made as semi-wrap conversions (just the panel is made from wrap), you can also order half-wrap conversions (panel and waist and shoulders are made from wrap, with a cotton inside layer). Or you can buy an in stock Wompat from authorised distributors. In Australia, the distributors are Woven Wraps Australia, Nurture Nest and KAAS Kids. I bought my pre-school size Wompat with Girasol Earthy Rainbow wrap and black cotton twill straps and waistband from Woven Wraps Australia. So, here’s my thoughts on the Wompat. At around AUS$270 for an in stock carrier, it is a fair bit cheaper than a semi-wrap conversion Tula at the current exchange rate (August 2015). Shoulders aren’t super-padded. Again, this is personal preference, but compared with my Tula, it is a noticeable difference in padding. I’m looking forward to a few bushwalks in this carrier over the coming months. It fits my son nicely to the knee, and is going to soften up quickly to be a very comfortable carrier. Categories: Uncategorized | Tags: Babywearing, back carrying, carriers, custom carriers, full buckle, girasol, soft structured carrier, SSC, wompat | Permalink. Having a baby? Consider a stretchy wrap. Before I really even understood what babywearing was all about, or had any idea of how it would become such an important part of my life, I bought a Hug-a-Bub stretchy wrap to carry my five-week old son. Looking back, it was probably the catalyst for what has turned into a life changing babywearing journey for my family and me. Stretchy wraps are seriously comfortable. When my daughter grew out of the Hug-a-Bub I felt genuinely sad that I wouldn’t be able to enjoy those comfy stretchy wrap cuddles again, despite continuing to carry her in a variety of other carriers and wraps. There is nothing quite like it, in my opinion. Stretchy wraps are suitable from birth to around 8kg (with a few exceptions, that I’ll note below). The manufacturers often state they are suitable to 10 or 15kg, and while you can technically carry that weight in them, it’s not particularly comfortable for the wearer for long periods, as the stretch creates too much sag with such a heavy weight. So, for most babies, this is around four to five months of age. If you haven’t tried a stretchy wrap, I can see that four to five months doesn’t sound like a very long time to be able to use a wrap you’ve just invested your hard earned cash in. And while I agree it does sound that way, I feel that the comfort of a stretchy wrap makes it a worthwhile investment for those important first few months of bonding with your new baby. Many new babywearers can be apprehensive about a long wrap, unsure if they can use it correctly, and think a buckle carrier like an Ergo or Tula would be easier. But for a newborn, the Ergo and Tula require a separate insert, which can be fiddly and hard to get baby seated correctly. It can take a fair bit of practice to get right – at least as much practice, if not more, than learning to tie a stretchy wrap. And once you’ve learned how to tie it, I think a stretchy wrap is actually quicker and easier to use than an Ergo or Tula with a newborn; you can even pre-tie it before you go out and just pop baby in at your destination. I will admit, there is one downside of a traditional stretchy wrap – they can be quite warm to wear in the hotter months. In most parts of Australia, if your baby is born in November or December, I would probably suggest you consider a ring sling or woven wrap, or look into some of the thinner stretchy wraps on the market, given your four to five months of use will be through the hottest parts of the year. And similarly if you live somewhere in the tropics where it is hot and humid all year round – there may be better options for you. But for everyone else, I really do recommend considering a stretchy wrap for your newborn. So what stretchy wrap options are there on the market? Hug-a-Bub, Moby and Boba (formerly called Sleepy) wraps are three of the most well known brands in Australia. While fundamentally the same, they have slight differences. The Boba is probably the stretchiest of the three, which can mean it starts to sag at a lower weight than the others, the Moby is quite wide, particularly compared with the Hug-a-Bub, which can mean it needs to be folded with a small baby, and the Hug-a-Bub has a version with a pocket on the front, which is handy because the wrap then folds up into the pocket (with a drawstring) for easy transport. Another similar brand, popular in the UK, is Kari Me. All four of these wraps are made from reasonably thick jersey that is warm to wear in the hottest months of the year. For a stretchy wrap that is a bit lighter, try the Solly wrap or Hana wrap. Or for an Australian made brand, check out Designer Baby Wrap – stocks are low at the moment, but it’s worth keeping an eye on this new brand and supporting an Australian business. And Stop Press! I’ve just discovered that Moby intends to bring out a bamboo blend lightweight stretchy wrap very soon, so keep that in mind too. Another option in the stretchy wrap market is what is known as a hybrid stretch wrap. The hybrid nature of the wrap means that while it has all the great qualities of a stretchy wrap, it has a firmer hold, which means you can generally use it for longer, as it will remain supportive to a heavier weight. Three of the most popular hybrid stretchy wraps on the market are the Ergo wrap, the Wrapsody Hybrid and the Je Porte Mon BeBe (JPMBB). The Ergo and JPMBB are quite thick wraps, while the Wrapsody is much lighter weight. And if you are still concerned about learning how to manage all that fabric, there are a couple of alternative stretchy carrier options. The Caboo is like a pre-sewn stretchy wrap with rings for adjusting the tightness. The Baby K’tan is three pre-sewn stretch sections that you wear arranged in the same fashion as you would tie a stretchy wrap. 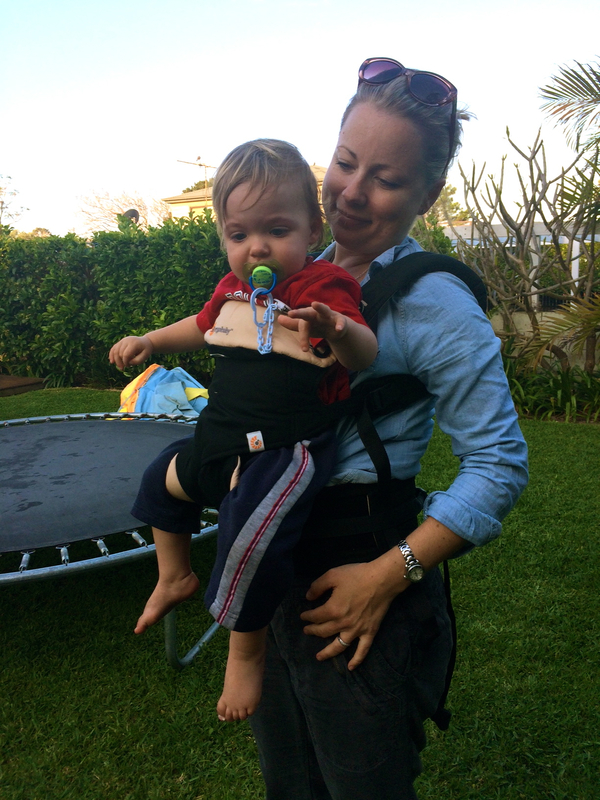 The Baby K’tan is not adjustable, and comes in different sizes. It is important that you get the right size; if it is too big it will not be safe. In my opinion, you would be better off learning to tie a wrap than trying to get the right fit with a Baby K’tan. Lastly, it is possible to make your own stretch wrap. You can buy 5 metres of stretch jersey from the fabric store and then half it lengthways to get the right width (so you’ll end up with two wraps). It won’t need to be hemmed as jersey wont fray. As with all wraps and carriers, following TICKS guidelines is important. 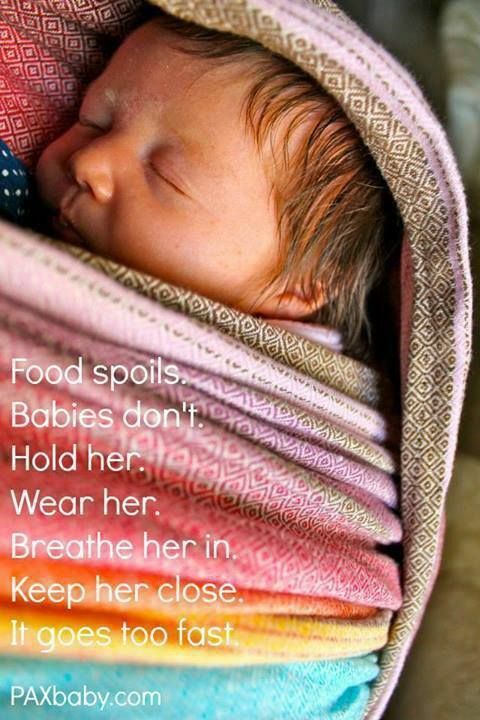 A stretchy wrap needs to be tied tight enough so baby is close enough to kiss. Use the stretch of the fabric to put baby in, rather than leaving slack in the fabric. It is also important with stretchy wraps that the carry includes three layers of fabric, as baby can push back against the stretch of the fabric which they can’t do with a woven material. The carry used for stretchy wraps that creates three layers is called Pocket Wrap Cross Carry. With the Baby K’tan, it is imperative that the third horizontal cross pass is always used as the third layer, not just the two cross passes. 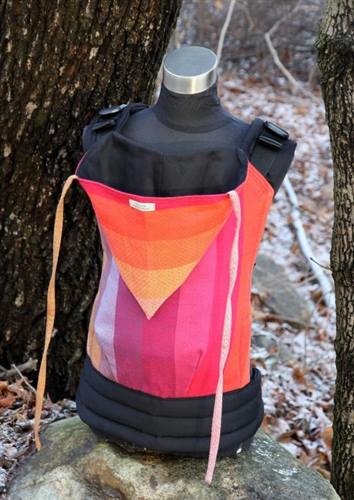 Note: another pre-sewn stretch carrier called Yoli and Otis has recently been marketed, but as far as I can tell it does not have a third horizontal pass so I do not recommend it. Stretchy wraps should also never be used for a back carry, and while you may see instructions on how to use a stretch wrap for a front facing carry, I don’t recommend it. Similarly, some stretch wraps provide instructions on keeping a newborn babies feet inside the cross passes for the first few weeks, rather than putting legs through the cross passes. I don’t recommend this either, the secure seat is created by the legs going through the cross passes and the fabric sitting behind the knees of the baby; without this I don’t feel the seat is as secure. The stretch-hybrid wraps however are an exception to some of these rules. Due to the hybrid nature of the fabric, they can be used for back carries, and you can use a front wrap cross carry rather than a pocket wrap cross carry if you prefer. And one last point about safety. While stretchy wraps can be used from newborn, special care needs to be taken with premature babies, and the three layers of fabric may be too much for a premature baby, especially if they have breathing issues, so please, if you do have a premature baby, speak with other babywearers experienced with premmies before deciding on the carrier you will use. Did you use a stretchy wrap with your newborn? Do you have a favourite brand? Categories: Uncategorized | Tags: Babywearing, beginner, ergo wrap, hug a bub, moby, newborn, stretchy wrap, wrapsody | Permalink. I don’t know exactly where the trend started, but you may have heard the term legacy wrap in some of the online babywearing spaces and wondered what it meant exactly. The short version is it is a wrap (or ring sling or carrier etc) that you plan to hold on to after your child has grown up and is no longer carried, because it holds a special meaning, and you may even like to pass it on to your child when they grow up and have a family of their own. So what might your legacy wrap/carrier be, and where would you find it? anything else that makes it important to you! If you want to find woven wraps released on particular dates, try SlingoFest, which contains a catalogue of woven wraps, their release dates and fibre content. Limited Edition Woven Wraps Database is another great resource for wraps released before March 2014, and often includes useful information like wrap weight and what its retail price was on release. These websites are also just a bit of fun for geeking out about wraps and learning more about the different brands and the different wraps released over the years. If you do plan to hold on to a wrap or carrier to pass on to your grown children, it is important to consider storage. Textiles can deteriorate over time, and while it may be a lovely thing to hand down to the next generation of your family, it may not be safe for babywearing anymore. When left folded for extended periods, permanent creases can form that can leave points of weakness in the fabric. Mould and mildew can be a problem, particularly in humid or damp places, and don’t forget about moths! It would be very disappointing to pull out your beloved wrap after 10 years in storage to discover it was full of holes chewed by hungry moths (hint: sticking your wrap in the freezer will kill moth eggs). 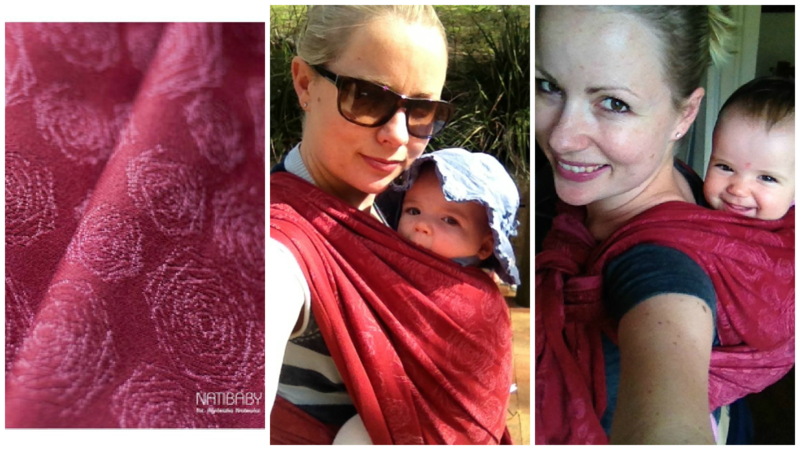 Our legacy wrap is Natibaby Quadroses Carmine, which was released on the day my daughter was born. It’s a gorgeous shade of pinky-red and a blankety linen blend that Natibaby are well known for. It was a great wrap from around 6 months old when she started to get a bit heavy for all cotton wraps. I bought it in a size 6 originally, but when my daughter was about 10 months old I had it chopped to a 3 and had the rest made into a bag. I found the wrap a bit diggy over 12kg due to the linen content, but it was better in multi-layer carries. As a way of holding on to this wrap into the future, I had been thinking about turning the wrap into cushion covers for my daughter’s bed. Another suggestion from one of the women at a babywearing meet I attended recently was to take a plain quilt cover and sew it on as an accent at the foot of the cover, which I think would work well with the design of this wrap. So think outside the square about how you can hold onto your legacy wrap/s and keep using them long after your child is no longer carried. Do you have a legacy wrap or carrier? I’d love to hear about it and why you chose it! Categories: Uncategorized | Tags: Babywearing, legacy wraps, natibaby | Permalink. So what’s that got to do with babywearing? I don’t think there should be any ethical discussions about carrying your baby, that is definitely the natural thing to do. But when it comes to babywearing products, like wraps and carriers, there are a number of ethical issues to consider on your babywearing journey. Where has the fibre from which your wrap is made come from? Is it commercially grown cotton that has consumed a lot of water and pesticides in its production? Is it silk that requires the silk worm to be killed in order to spin the thread? If this isn’t something you’ve considered before, it is worth looking into. It isn’t necessarily wrong to purchase wraps made from commercially grown cotton, it is 2015 and most of us are wearing clothes made from commercially grown cotton. But it is important to be informed and make a considered decision about what you buy as a consumer and how this fits into your ethical framework. For example, bamboo is relatively easy to grow and therefore doesn’t generally require herbicides and pesticides so it can be grown organically, but it requires a lot of water to turn it into thread because it is quite a tough, fibrous plant and needs a lot of manipulation to make it into the soft thread you may be familiar with. And there in lies the ethical dilemma. And then there are animal fibres. Silk especially has the potential to raise ethical issues, as some types of silk require the cocoons to be boiled with the pupae still inside to reel the silk thread in one continuous strand. For some people, the treatment of a silk worm is probably not of huge concern, but if you are vegan for ethical reasons for example, it is likely to be a far bigger issue. I asked Prae from Australian-owned woven wrap company Oonlamoon for some information about the eri silk that her company uses to make handwoven wraps in Thailand. Prae explained that eri silk is a discontinuous fibre that needs to be spun together to make thread, so it is possible for the silk worm to turn into a moth and leave the cocoon without compromising silk thread production. However, the weavers that weave eri silk wraps for Oonlamoon in Thailand farm the silk worms for food consumption in addition to farming tapioca, with the silk worms eating the tapioca leaves that would otherwise be discarded. The additional income from silk worms and silk thread helps keep tapioca farmers on the land when there is increasing pressure to move to the cities for factory-type work. While for some vegans this may still pose ethical issues, it is clear that this complete cycle and usefulness of the silk worm for other farming practices and food consumption is a better ethical outcome than silk worms that are simply boiled to reel their thread. Prae is not aware of any woven wrap manufacturers using Ahisma silk in their products (Ahisma silk is eri silk where the worm has been allowed to mature and leave the cocoon as a moth). Even wool has ethical considerations. PETA has recently released media commentary about the treatment of sheep in the shearing process, which is worth a look if you are a wool lover. As with any textiles, it is worth investigating the working conditions under which wraps and carriers are manufactured. Do workers get paid adequately? Are factories and warehouses suitable working environments? Are western business owners exploiting workers in third world economies? As the babywearing industry moves from small cottage industry to larger commercial manufacturing industry these questions are worth considering before making your next purchase. With the rise and rise of the babywearing industry, so follow the counterfeiters trying to make a quick buck off of someone else’s success. Ergobaby is the biggest victim of this, though there are others, notably Freehand mei tais and Manducas. Counterfeit Ergos are sold on eBay for what seems like a great price – sucking in many a first-time babywearer. Not only should you be concerned about a lack of quality control and testing of a counterfeit carrier, you should also consider the ethical issues around supporting counterfeiters. Counterfeiting is illegal, and buying a counterfeit product puts money in the hands of people involved in criminal activities. Companies like Ergobaby have invested a lot of time and money into making one of the most popular baby carriers on the market and can be credited with helping make babywearing mainstream. Every counterfeit carrier sold is taking money away from them, not to mention the money they spend trying to fight counterfeiters. While most people would never deliberately buy from a counterfeiter, it is important to be aware the problem exists and thoroughly investigate the legitimacy of the product you are buying, particularly when purchasing through sites like eBay. Cultural appropriation is where people from the dominant cultural group exploit the culture of less privileged groups, generally with a disregard and poor understanding of the history of that culture. A current example is where the feather headdress associated with First Nation cultures in North America has become a fashion statement among hip young things at music festivals across North America, Europe and Australia. Taking a culturally symbolic item and turning it into a fashion accessory is cultural appropriation, and doing so raises serious ethical issues. 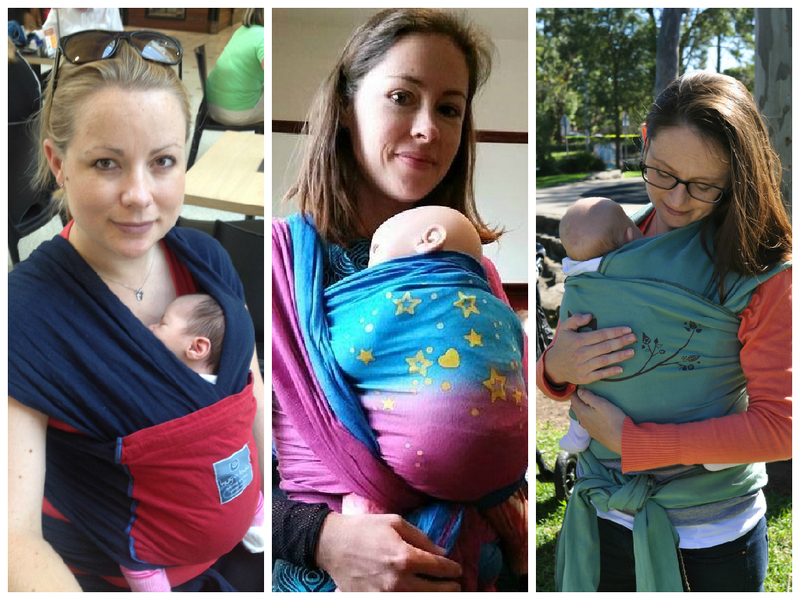 In the babywearing world, cultural appropriation can be seen in the use of certain patterns and symbols on wraps and carriers. Culturally significant patterns and symbols being used on wraps manufactured by companies not associated with that culture is ethically questionable. It would not be appropriate, for example, for a company owned by people from the dominant white culture to use a traditional Aboriginal design on a wrap or carrier without considerable consultation with an appropriate Aboriginal representative. But unfortunately, this type of cultural appropriation has happened on occasion in the babywearing industry, so it pays to be mindful of this when choosing a wrap or carrier. The pattern might look amazing, but is it really appropriate for that company to be using that pattern in that manner? Overall, I think the babywearing industry does a wonderful job of considering its social responsibilities, but as it continues to grow it is definitely worth making yourself aware of any potential issues around what you’re buying. I hope I haven’t made things too complicated for you by raising these issues – here’s some Calvin and Hobbes to lighten things up! Categories: Uncategorized | Tags: Babywearing, bamboo, counterfeit, cultural appropriation, ethics, silk, wool | Permalink. Babywearing: what’s it really all about? In the crazy online world we inhabit these days, it is easy to get caught up in the hype of the next wrap release, or in chasing our DISO (desperately in search of) HTF (hard to find) WC (wrap conversion) that we absolutely MUST have. And in itself, there is nothing wrong with this. The collection of babywearing items like wraps and carriers is a hobby, just like collecting any other objects of desire. It’s been almost one year since I wrote my first blog post, where I outlined the reasons why babywearing can be a great tool for any parents. It seems timely to take a step back from the hype and reflect on what babywearing is all about; how we ended up in this community in the first place. And that is our babies. I recently attended the Australian Babywearing Conference in Adelaide, where we were lucky enough to hear a keynote session by the founder of the Canadian Babywearing School, Arie Brentnall-Compton. Arie was inspiring, I took so much from her speech, more than I could have even imagined, and as a result I’ve been reinvigorated to continue working to promote babywearing, when earlier this year I wasn’t sure how much longer I would be part of this community now that my youngest (and last) child is two. This inspiration comes from being reminded about what babywearing really is all about, and that is carrying your baby. Babies are born expecting to be held, but in this modern world, they often spend a lot of time in prams, swings, bouncers, bumbos and a multitude of other things marketers love to push on new parents. And while each of these things might have a place in helping you care for your baby, there is a definite need to see the amount of time babies are held by their parents increase across modern society as a whole. Arie strongly advocates for carrying of babies to become normalised and for old-fashioned notions of spoiling babies by holding them too much to become a footnote in the history books. Babywearing plays a part in this because carrying your baby in your arms can make it hard to get on with the rest of your busy life. While you’re holding your baby you can’t make dinner, or shower, or play properly with your other children. As many a new mother with a newborn will attest, you can feel trapped in your own home by a baby that will not be put down without much crying and unhappiness (from both the baby and the parents!). So wraps and carriers are the tool that allows you to do what your baby needs you to do (carry them), but still get on with your life. So why is carrying your baby important? Carrying your baby is the biological norm. The fourth trimester has become a popular concept in parenthood recently, and for good reason. Moving from life in the womb to life in the big, wide world is pretty confronting for a helpless newborn who really should have stayed inside for a bit longer if it wasn’t for the size of its skull. Staying close to mum or dad (or other caregiver) is where baby can feel safe and secure and gain an understanding of the world and their place in it. Babies are born to be worn. Arie shared an interesting perspective on helping people to understand why babywearing is important. She talked us through a day in the life of a new mother, and how babywearing fits into that day. In the morning, a mother needs to eat breakfast. Carrying her baby in a carrier allows her to make herself breakfast and finish eating while also meeting her baby’s needs. A proper diet is important for a mother’s well-being and also in establishing breast milk supply. Skin-to-skin contact with her baby also assists in establishing breastfeeding. Brushing her teeth, brushing her hair, putting on some lipstick even – looking after herself is important. Not having the time to look after herself is a risk factor for post-natal depression. Babywearing allows her to meet her baby’s need to be held while allowing her to do a few small things for herself as well. The dog needs to be walked. Walking the dog while pushing a pram is difficult, if not impossible. Babywearing helps get a mother (and her dog) out of the house for some much needed exercise. Exercise, even just walking, can have as positive an impact on mild to moderate depression as medication. Next is a trip to the health care clinic for baby’s check up. The car capsule is awkward and difficult to carry. It is not recommended that babies remain in capsules outside of the car. It can lead to a flat head and even positional asphyxiation. Popping baby into a carrier means baby stays calm during the visit and mum has her hands free. Witching hour. Arsenic hour. Whatever you call it, there’s that time of the afternoon or evening when baby just cries for no apparent reason. Research has shown that babies that are carried will cry less (Hunziker UA, Garr RG. Increased carrying reduces infant crying: A randomized controlled trial. Pediatrics 1986, 77:641-648). Crying babies can have a serious impact on family life. Arie pointed out that babies who are most likely to be shaken are those that are crying inconsolably. She also suggested that securely attached fathers are less likely to abuse their children, and also less likely to abuse their children’s mother. Babywearing can help fathers bond with their babies. Time for bed. When baby sleeps badly, everyone sleeps badly, and this can have a negative impact on families and relationships. 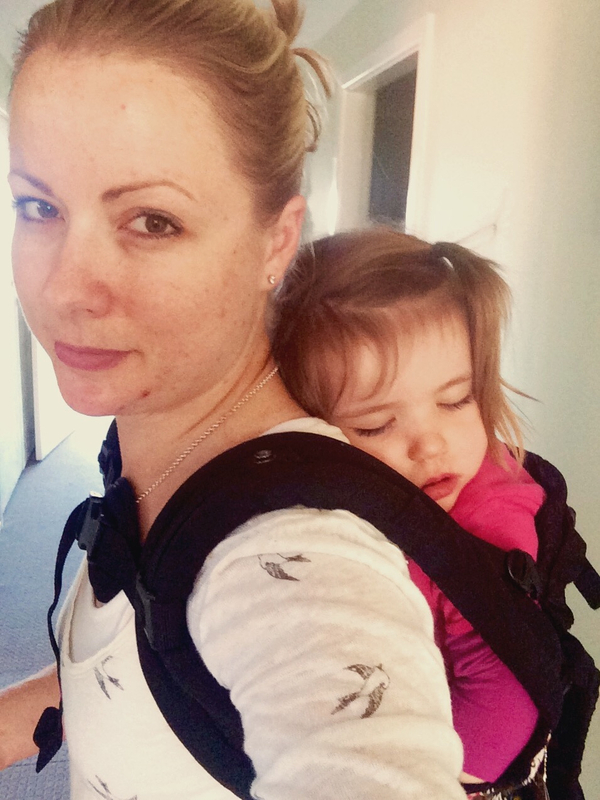 Babywearing can help to settle your baby, and promote longer periods of sleep. And sleep begets sleep. 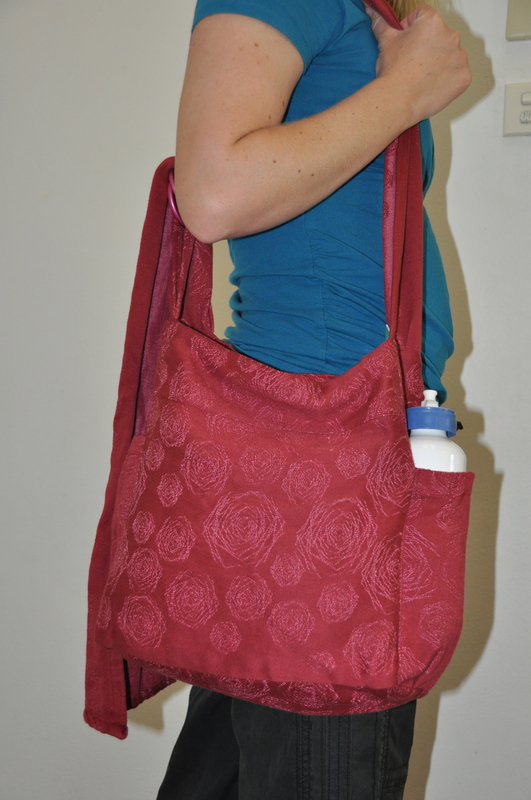 Babywearing can be instrumental in improving breastfeeding rates and reducing post-natal depression. It can help develop stronger family bonds and securely attached children. The method of carrying your baby isn’t very important, as long as it’s done safely. Babywearing really is about the practice, not the product. I’m probably preaching to the converted here, but each of us can make a difference in helping babywearing become widely accepted in the community. Let’s normalise carrying your baby. Let’s aim for mothers-to-be to see babywearing everywhere and understand that it is just what you do when you have a baby. Are you promoting babywearing in your community? Tell me how! Categories: Uncategorized | Tags: Babywearing, beginner, bonding | Permalink. So I’m a little bit excited. Next weekend the Australian Babywearing Conference is happening in Adelaide and I’m lucky enough to be heading along. While I’m a Sydneysider, I’m originally from Adelaide and my parents still live there, so I’m even luckier as I can take my children with me and still make the most of the conference because my mum is going to help look after them for me. So what’s a babywearing conference? 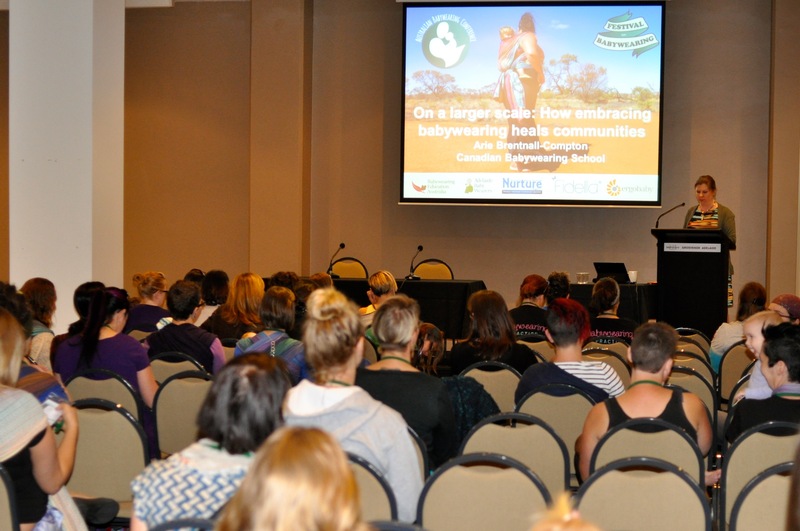 Well, I quote from the conference website, the conference provides a space for the sharing of knowledge and skills about the art of babywearing and allows community members, vendors, educators, health professionals and others from around Australia to meet and connect. It really is a great opportunity for the babywearing community to get together, learn, share and enjoy our joint passion for babywearing. I’m really looking forward to meeting some people I know from the online babywearing community in real life, and hearing from other babywearers about their experiences. There’s also going to be an expo full of interesting babywearing options and associated products – I’m going to have to set myself a strict budget I think! I’ll be sure to post about my adventures at the conference when I get back, so stay tuned! If you think this event is something you’d be interested in, you can still buy tickets through the Australian Babywearing Conference website. If you are already coming, please let me know so I can say hi! I’ve posted before about wrap conversions, where a wrap is converted into a carrier like a mei tai, half buckle or full buckle. An off-shoot of the wrap conversion industry is a veritable smorgasbord of things you can get made from scrap. Depending on the length of the wrap you have converted, and what kind of conversion you get, you might have nothing much left over, or you might have some substantial pieces of scrap. Or, when you find the wrap of your dreams but it only comes in a size much longer than you need, giving it a chop can be a good option, leaving you with a length of fabric that might not seem to be of much use. As luck would have it, talented individuals have grabbed this opportunity and started making all sorts of things out of wrap scrap, so you don’t have to dispose of any of your beloved wrap, and you may even get a keepsake that you can use well after your baby has grown up. If you can sew, you can turn your scraps into anything you like, but, if like me you can barely sew a button, there are loads of women out there (possibly men too, let me know if you’re one of them!) who can turn your scrap into something for you to treasure. Most of these businesses run through Facebook or Etsy, so search around or ask in your local babywearing group for recommendations. Here’s a few I’ve had the pleasure of dealing with to give you an idea of what you can do. 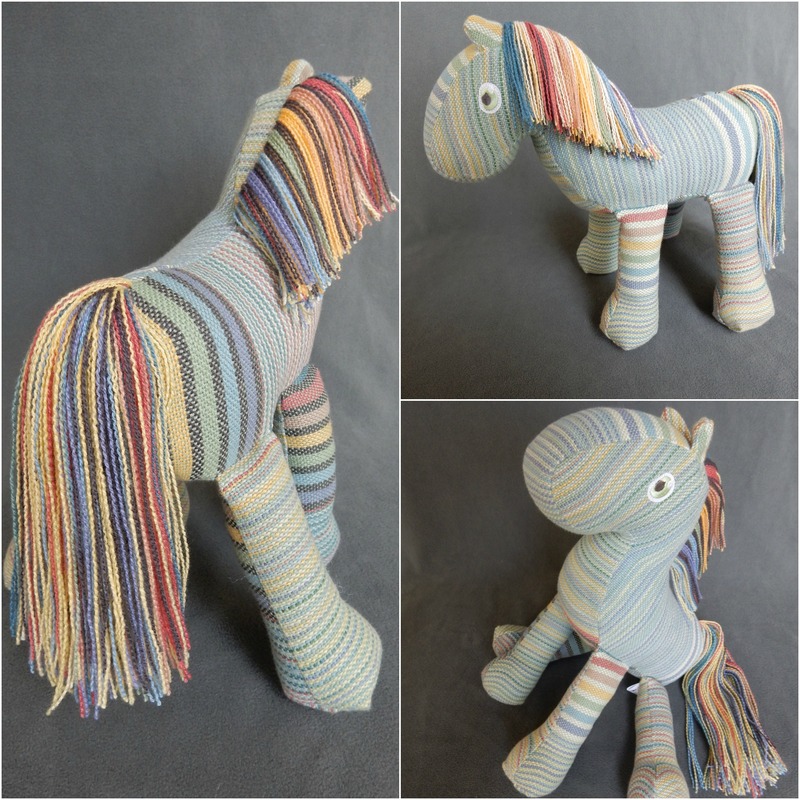 Working from Florida in the USA and selling spots via an Etsy page, Wrap Scrap Pony makes pony, unicorn and pegasus stuffed toys from wrap scrap. A minimum of 60 centimetres is needed for a pony, and a little bit more for a unicorn or pegasus. I had a pony made from some scrap I had of a Cloth of Kin Sidewalk Chalk wrap that I had converted into a ring sling. 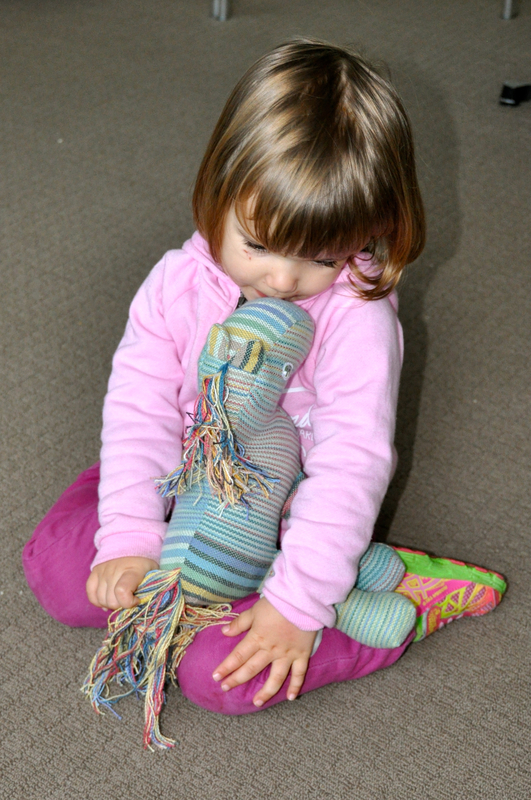 It is delightful, and my daughter loves her “horsey”. When I first got into wraps, I bought the wrap that was released on the day my daughter was born, Natibaby Quadroses Carmine. I bought it in a size 6 as it was the first one that became available, but a 6 was always too long for me, so I chopped it to a size 3 and had the rest made into a bag by Seabrezy T’s – a woman in Perth. I love that I have something made with this special legacy wrap that will last me well past when I no longer carry my daughter. I’m thinking I’ll get the rest of the wrap made into cushion covers eventually as well. 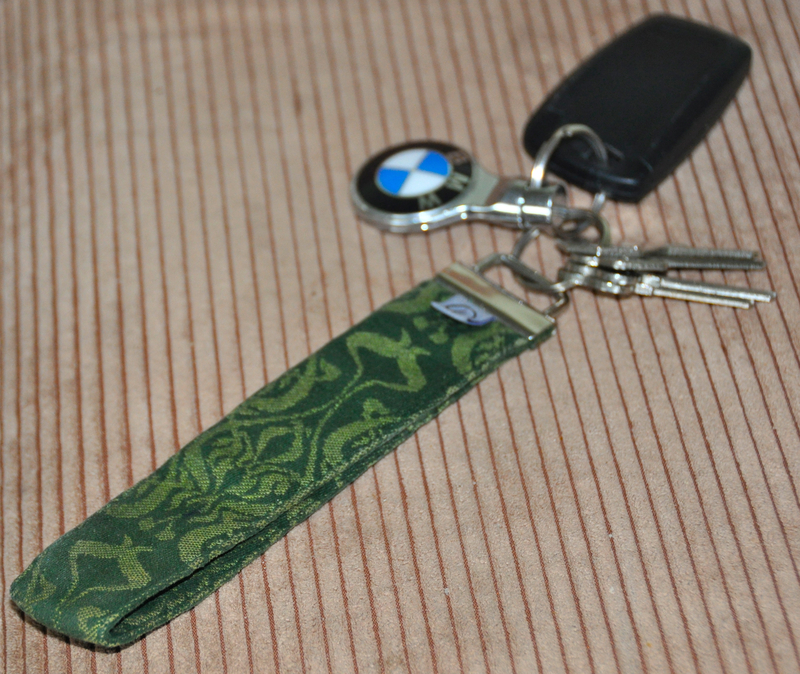 Oscha is an established woven wraps brand, but in addition they also sell keyring fobs from their wrap scraps. Here’s mine, made from Nouveau Willow. Keyring made from Oscha Nouveau Willow. I love these because it means I can carry my keys around my wrist and have two hands free to pick up the children, bags, paintings, drink bottles, toys etc I have to drag out of the car with me each day! A number of small businesses also make these to order from scrap you might already have. Davinia is a fabulous babywearing mama from Sydney who I’m lucky to know personally. 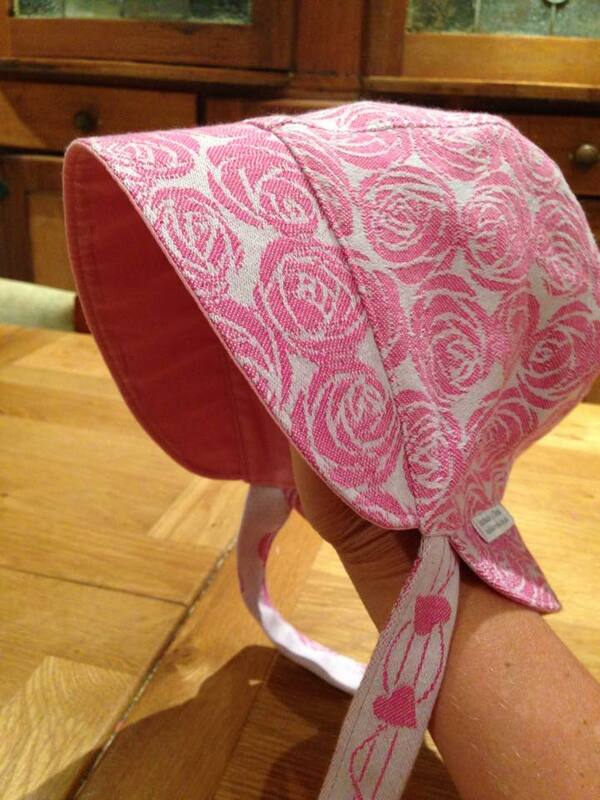 In her spare time she creates some gorgeous things from wrap scrap and other fabrics, most notably a bonnet that is pretty much impossible for a small child to remove, which in the Australian sun is very important! Some other ideas for wrap scraps are purses, headbands, hair ties, scarves, dolly slings, children’s clothes, brooches, necklaces, bracelets and earrings. Do you have something made from wrap scrap that you love or a vendor you recommend? Categories: Uncategorized | Tags: cloth of kin, natibaby, oscha, wrap scrap, wrap scrap accessories, wrap scrap pony | Permalink.